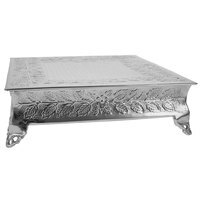 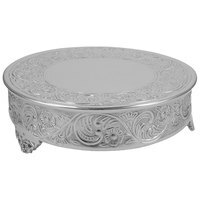 Our 14 inch cake stands provide an attractive way to display and serve your cakes, pies, and desserts. Cake stands elevate your offerings above the surface of your buffet or counter, creating dimension and providing more room for other items underneath. They also make it easier for your guests to serve themselves. 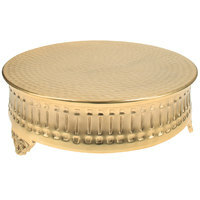 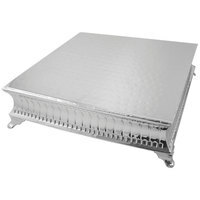 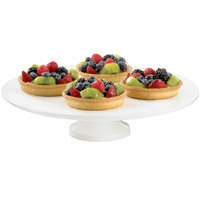 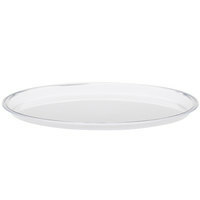 A great addition to your bakery, buffet, or catering company, 14 inch cake stands hold large diameter cakes and pies. 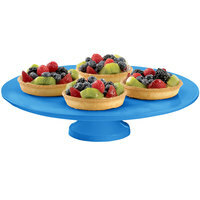 They can even be used to hold a group of smaller items like cupcakes, muffins, or cookies. 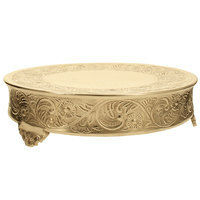 Available in a variety of colors, you can choose a cake stand that will complement your decor.